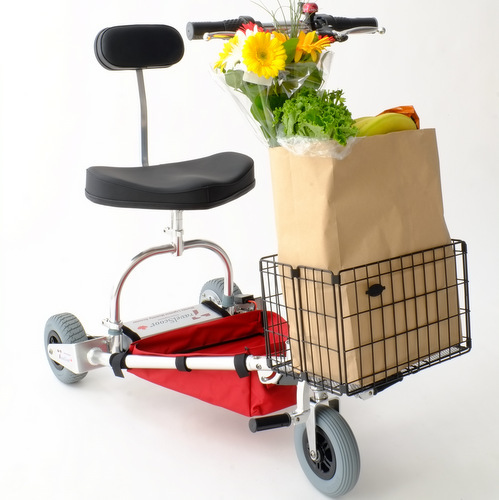 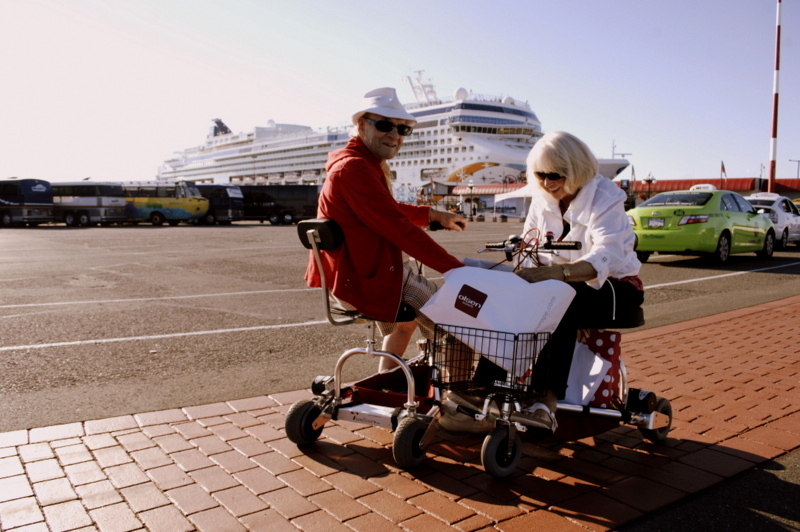 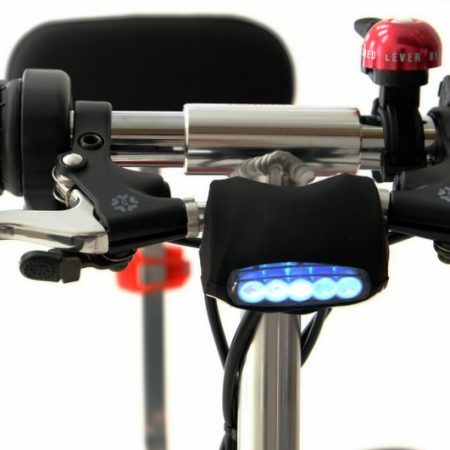 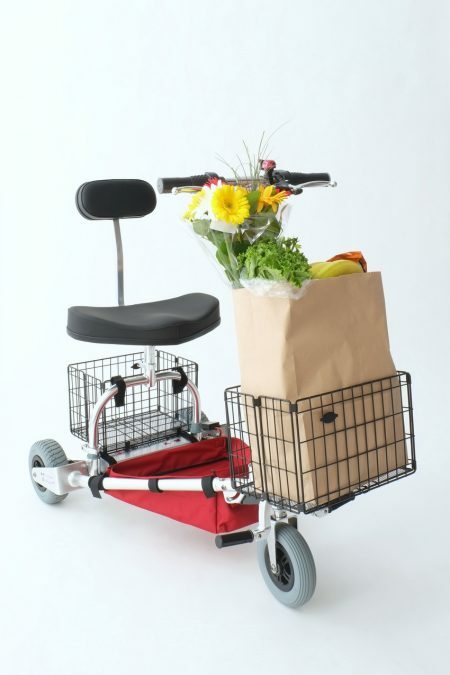 The foldable shopping basket can be mounted on the front or rear of the TravelScoot. 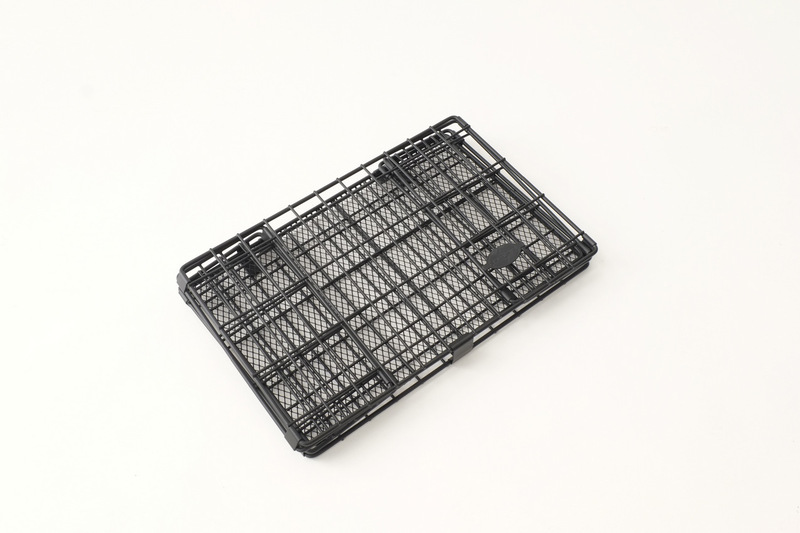 The foldable shopping basket is a must for those who enjoy shopping. 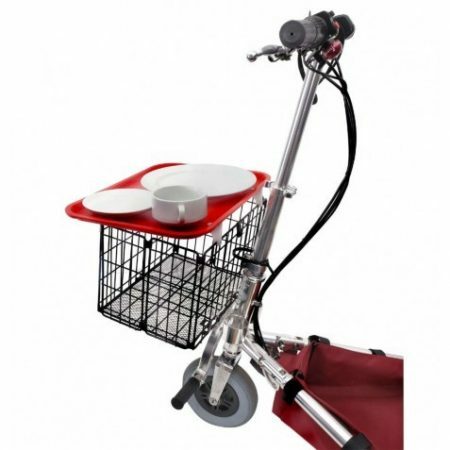 The spacious folding basket can be mounted on the front or rear of the TravelScoot. 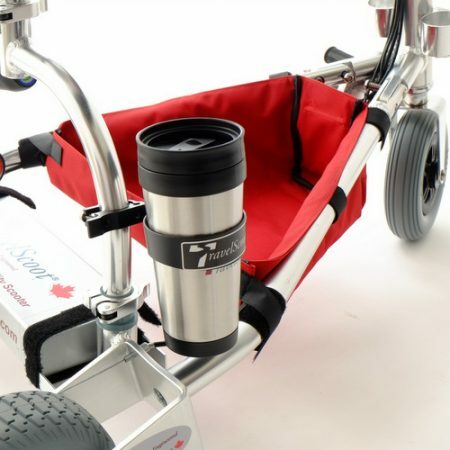 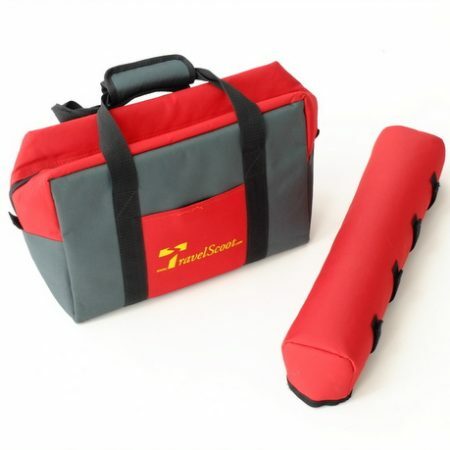 The folding mechanism allows the basket to be folded flat and makes it easy to pack when travelling.